From valuable antiques to recent purchases, we deal with jewellery restoration, remodeling and repairs. \nOur expert craftsmen and goldsmiths have years of experience under their belts and can work on an array of different jewels and jewellery.\n\nWe turn our hands to any gem, stone or rock turned our way with dedication and passion, always striving to repair your items with the best level of attention and care. We love what we do and so will you! 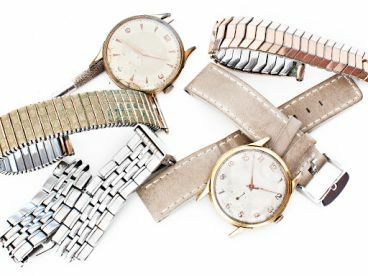 Whether it’s stone replacement you need, charm soldering, chain repair or ring resizing, we're here and happy to help. 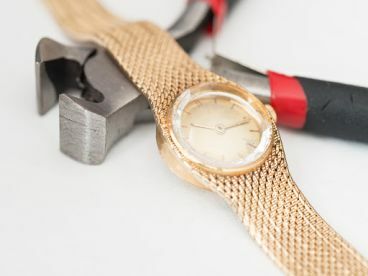 \nRejuvenating your favorite accessories has never been so simple.\n\nRing us now or pop in store for a quick visit and a member of staff will be happy to walk you through the different services we offer. 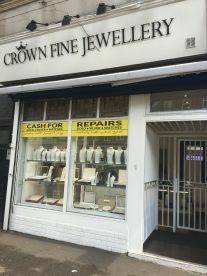 This jewellery shop is very high standard, the owner is a lovely woman who gives the best advice for jewellery as well as having the finest selection perfect for any occasion. Very good quality gold. The service is always perfect, they always provide the correct advice when buying jewellery. The jewellery here is beautiful and the owner was lovely and customised a bracelet for me exactly how I wanted it. The service is great, competitive prices- check it out you won't regret it! By far the best customer service I've received in any of the jewellers I've visited in the past few months and that is including bond street jewellers!! Great service with friendly banter. Please note that Crown Fine Jewellery may not be able to honour booking requests made.